So it's almost the end of July. Have you made the most of summer by visiting the PHMC's Trails of History? Events this weekend can be found on the July program page. Events for the month ahead are on the August program page. Don't wait! As if inspired by today's title (which I swear I came up with before I saw this article), the Wilkes-Barre Times Leader included a visit to Eckley Miners' Village on its Summer Bucket List! This Saturday, July 30, The State Museum of PA will hold a Community Day and feature presentations and tours of the exhibit "We're Here: Pioneering LGBT Rights in Pennsylvania." Admission is free. The Museum is open 9 am to 5 pm; "We're Here" event is 9-11 am. 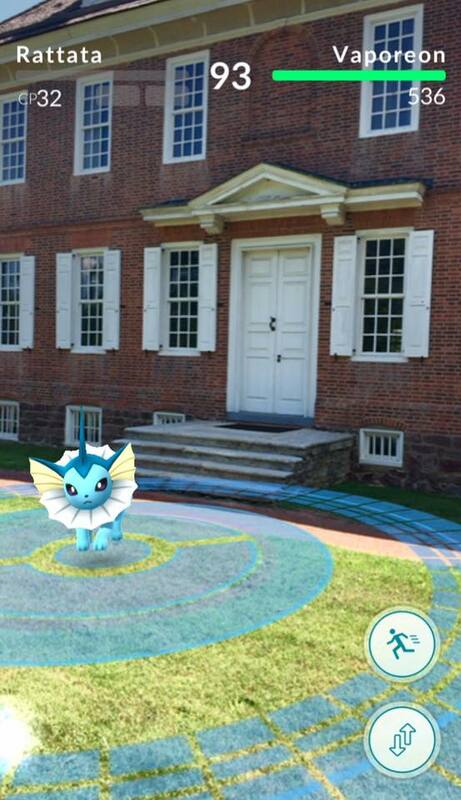 If you're playing Pokemon GO, you may have found Pokestops and gyms at our sites. We ask that you respect site hours and areas where admission is required, but please include the Trails of History in your gaming. 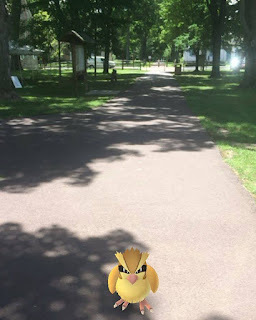 Old Economy Village is hosting an event this Sunday afternoon (July 31) with free admission (Sundays are free in 2016 in honor of the site's centennial), Pokemon lures, and ice cream sundaes to keep you cool. Site is open noon to 5 pm; ice cream sundaes are 1-4 pm. Landis Valley Village and Farm Museum's recent Civil War Weekend received good coverage before and after the event and despite the heat had good attendance. The event focused primarily on the impact of the war on the homefront, populating the site with reenactors presenting civilians and Union soldiers (including members of the U.S. Colored Troops) recruiting and training. President and Mrs. Lincoln also made an appearance. Jennifer MacNeill Photography posted an album of photos and shared them with Landis Valley. Curious about how PHMC manages its extraordinary and wide-ranging collections and makes sure that what we care for is significant to Pennsylvania? Lancaster Farming recently published an article about the agency's recent deaccessioning auction that details how the decisions are made and highlights some objects (and why we were letting them go). Last week, the U.S. Brig Niagara won Race 2 (off Fairport Harbor, Ohio) of the 2016 Tall Ships Challenge and competed in a "Galley Showdown" at the Bay City (MI) Festival. The ship's blog and Facebook page have photos of the current voyage as well as some activities going on back at the Erie Maritime Museum while the ship is away. 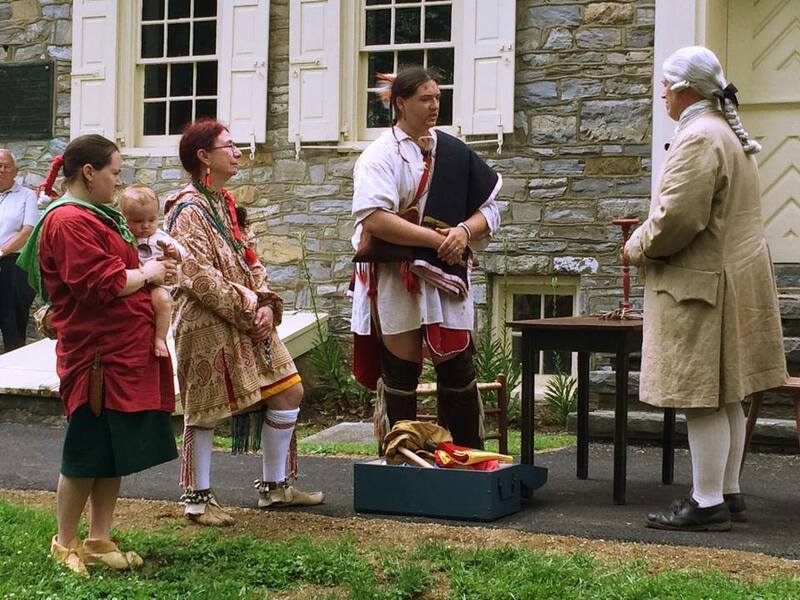 Pennsbury Manor shared a Facebook post from Philly Touch Tours, with photos from their recent visit to the site. You'll find the full list of Trails of History activities on the July program page. Thank you to everyone who voted for the Railroad Museum of Pennsylvania in USA Today's "10 Best Transportation Museums" contest (the museum was one of 20 national nominees). The results should be posted at noon today (July 22). I will update this post when we get the results or you can visit the contest website. When I checked on Monday, RMP was at number 5. 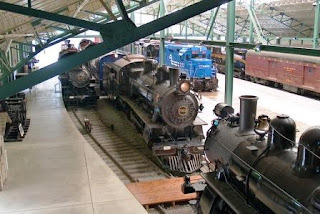 UPDATE: Congratulations to the Railroad Museum of PA, voted one of the 10 Best Transportation Museums in the US, coming in at number 5 (but number 1 in our hearts). 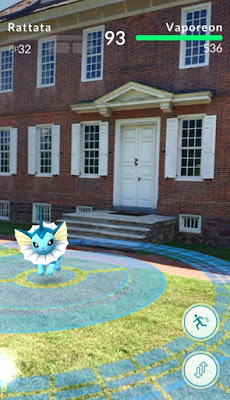 Since last week's launch of Pokemon GO (and last week's post), more and more museums are finding their way through the craze. As you would expect there are many different reactions across the country. On the Trails of History, we're discovering that most (all?) of our sites have Pokestops and gyms but seeing varying levels of public attention. Sites are happy to welcome new interest. Some are putting out info on social media, especially sites with significant outdoor visitation. For example, Bushy Run Battlefield helpfully reminded folks that the main parking lot gates are locked at 4:30 pm and suggested an alternative to avoid getting stuck. A post on the State Museum website encourages trainers to visit all the Trails of History sites, to respect sites and fellow visitors, and to be mindful of operating hours and admission fees. Please be sure to share photos of your captures and tag the site where you found them. Some of us are playing too! There was lots of anthracite region news in my Google Alerts this week, with an article about the first observance of Anthracite Heritage Day last Saturday (and henceforth to be the third Saturday in July), a feature about places (such as Eckley Miners' Village and the Anthracite Heritage Museum) where people can learn more about the region's history and culture, and an interview with a local student interning at Eckley Miners' Village this summer. If your weekend plans include visits to Pennsbury Manor or Washington Crossing Historic Park and you're not from the Philadelphia area, you may need a friendly reminder that the city and surrounding countryside will be bracing for the Democratic National Convention, which officially starts on Monday. The Governor's Office and PennDOT have issued some advisories and info, as they did when Pope Francis visited last year. The convention won't directly affect the Trails of History, but you may want to know about road closings, etc. If you're looking for something to do this weekend or next week, the July program page has the info you need. We would greatly appreciate it if your weekend activities included voting for the Railroad Museum of PA in USA Today's "10 Best Transportation Museums" contest. As of yesterday morning (7/14), the museum was in 4th place out of 20 nominated museums. You can vote once a day through noon on Monday, July 18. Last week I wrote about finally jumping on the Hamilton bandwagon and my enthusiasm for the musical. 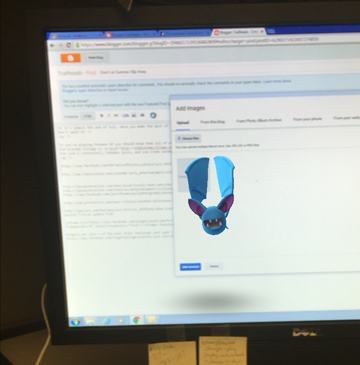 This week, feeling more adventurous I guess, I downloaded the Pokemon GO app to see what the fuss was about. The various museum listservs I subscribe to, not to mention numerous Facebook and Twitter posts, were exploring the impact of this almost instantly popular game on museums and historic sites nationwide (see this article in Travel+Leisure for an overview). To say the least, my enthusiasm level isn't quite the same as for Hamilton (which I'm listening to as I write this). So far, sites on the Trails of History aren't reporting lots of gamers, but we are seeing interest. 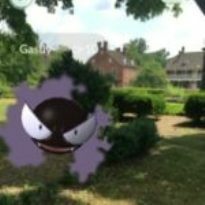 The potential for people to "discover" museums and historic sites they were unaware of because of the game is certainly exciting. Looking for ideas for the weekend and the weeks ahead? Check out our list of things to do in July on the Trails of History! I've never been accused of being an early adopter of anything. Cutting edge? Not me. I like to let other people take the risks, do the legwork, push the boundaries. So, it will come as no surprise that it took me until this week to jump on the "Hamilton" bandwagon. Sure, I've enjoyed seeing a couple of samples on the Tony Awards broadcasts and heard snippets here and there. But what finally propelled me to buy the album (on the iTunes) was a public radio segment about an educational program in NYC largely generated by the popularity of the show. With funding from the Rockefeller Foundation, the Gilder Lehrman Institute of American History partnered with scholars, educators, and the cast and crew of "Hamilton" to develop educational resources, a curriculum, and provide tickets for 20,000 students (at $10 a pop). The program I listened to included students talking about doing historical research, meeting with Hamilton biographer Ron Chernow (whose book underpins the musical), and performing their own historically inspired music, rap, and poetry for the cast and crew of the show. It was moving. So, I spent the 4th of July listening to the album and totally get what the big deal is (my opinion, your mileage may vary). It was a fitting reminder of the heroic and yet complicated, messy, sometimes ugly, origins of our democracy and the importance of helping our visitors understand that life was not "simpler back then." And that we are all part of the continuum of history. "Hamilton," for all of its cultural phenomenon-ness, is also an object lesson: when history is presented as a compelling story, with an eye and ear to the intended audience, people respond. We can't create blockbuster musicals at our sites, but our staff and volunteers strive all the time to forge emotional and intellectual connections between the present and the past and to shed light on the human strengths and weaknesses we share with our collective ancestors. It's frustrating work sometimes (most of the time? ), but it matters. 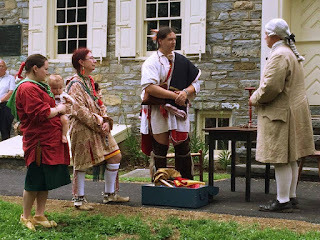 Last month, Conrad Weiser Homestead hosted a living history program, Forest Diplomacy, that explored the relationship between colonial Pennsylvania and the Iroquois nation at a time when things might have turned out very differently. Eckley Miners' Village held their annual Patch Town Days event late last month, this year focused specifically on the anthracite region's Slavic heritage. Music, food, and living history brought the company town's above-ground history to life for a crowd of visitors. You can read more about it in an article (with photos) from the Hazleton Standard-Speaker, which highlights the Eckley Players' presentation about a scarlet fever outbreak. Below ground, the second year of archaeological exploration has been uncovering buried details of the lives of two families who lived on Eckley's back street. Blogger The Crazy Tourist included the Railroad Museum and the State Museum on a list of the top 25 things to do in Pennsylvania! He may be crazy but he has good taste. And while we're at it, the Railroad Museum is in the running for USA Today's contest to select the 10 best transportation museums in the country (as of 9:23 am on July 8, RMP is ranked 3rd out of 20 in the voting). You can vote once a day through July 22 18 at noon. Don't throw away your shot. Trailheads is taking a vacation this week, but you can still find the info you really need. July program page with listings for today through the end of the month. A list of sites that will be open on Monday, July 4 (not all Trails of History sites will be open, so please be sure to check the list). Please celebrate responsibly and safely. And I'll see you next week!